No, pearls aren’t something that only your grandmother would wear! 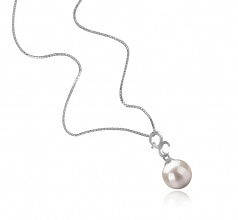 These days there are some beautiful pieces of jewelry made of pearls that are great for women of all ages to wear. 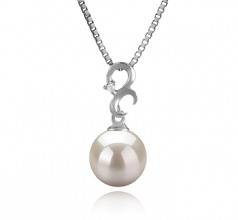 One such piece is this beautiful silver and white Japanese Akoya pearl pendant. 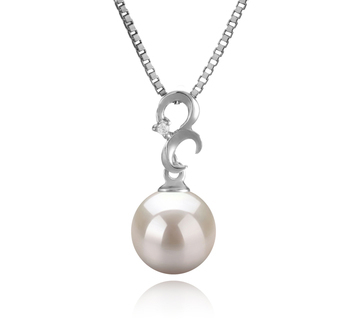 The silver really does help to bring out the beauty of the pearl even more. 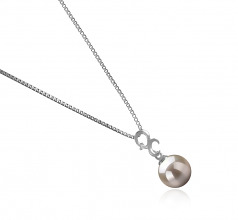 This AA 8-9mm round pearl is one that will soon become a favourite item of jewelry for you. It is a piece that can be worn with a varied range of outfits you will have in your wardrobe. This isn’t a piece that should be only worn on special occasions; it is a piece of jewelry that loves to be on show. Whether out for lunch or going to a party with your friends this is a piece of jewelry that will add a real touch of glamour to your outfit.